Helen is an artist born and living in Dublin who paints in watercolours and acrylics. She was a founder member of the now legendary “Merrion Square Group” of artists who took a page from Parisian artists in the early 80s and set up an outdoor gallery along the railings of Merrion Square opposite the National Gallery as an alternative to depending on established gallery spaces. She studied at Dun Laoghaire College of Art, in the Attic Studio, New York, and has completed several workshops with contemporary artists. She has shown her work in major Irish exhibitions such as The Oireachtas, and the United Arts club. She has also participated in exhibitions in New York and Dallas. 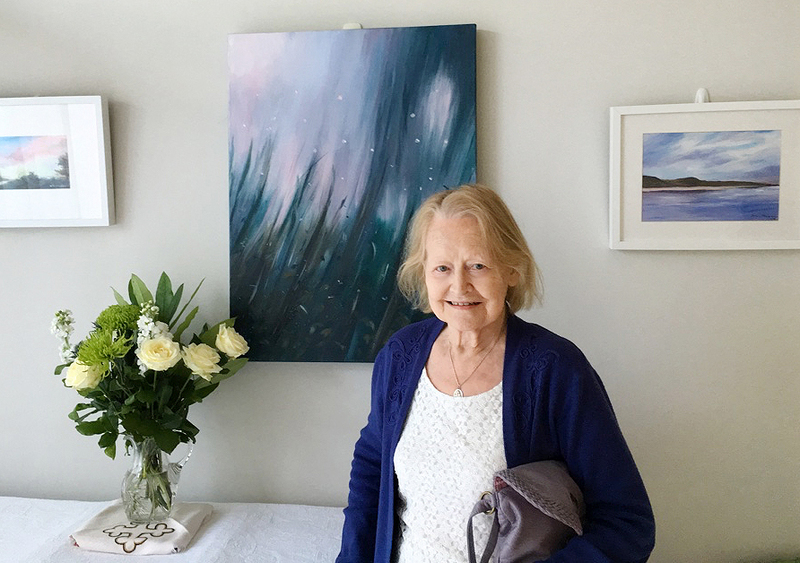 For many years, she specialised in Dublin streetscapes – painted in inks and watercolours, and Connemara landscapes in oils, watercolours and acrylics. She has completed commissions for the Bank Of Ireland, Holles Street Hospital, St. John of God Hospital, Bórd na Mona and Consultants in Public Affairs. Following a recent exhibition of her work she sold five paintings, and some are still available – see the FOR SALE tab for details.